Dr. Gaurang Pandya was pleased and surprised by his last minute victory in the Sierra View District Hospital board of trustees race. Final numbers from the Tulare County Election Office indicate Dr. Pandya ended with 80 more votes than incumbent Brent Gill — enough to unseat the board veteran in the popular race that included three incumbents, three physicians and a local rancher, for three open seats. In that final results released late Friday, Pandya got 171 more votes than Gill to overcome a 99 vote deficit. The final results on election night showed Gill solidly in third place, 269 votes ahead of Pandya who was fourth. However, the county reported it had approximately 50,000 ballots still to process, an effort that took nearly four weeks. That lead had dwindled to 91 votes by the Nov. 21 tally with approximately 3,500 votes countywide still to be counted. 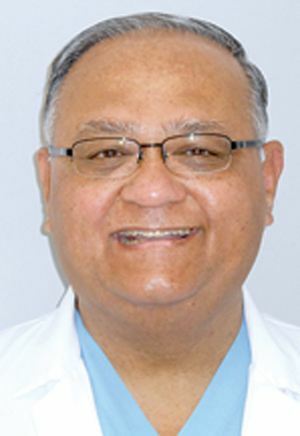 Dr. Pandya, a local general surgeon who has practiced in Porterville since 1988, is president of the Tulare County Medical Society and a delegate with the California Medical Association House of Delegates. "I was a bit surprised," Pandya said. "I knew the margin was close." Pandya said he was still working in his office, and because he knew the Election site would be updated, he decided to check it. "Shortly after I started getting phone calls from others who had checked on the Election site," Pandya said. "It was exciting." During his campaign, Pandya expressed concern for the challenges on taking care of the population, said there was a need for the hospital to do well and provide cost-effective services to the community, and said he wanted to refocus on resources available for the community. "This is an opportunity for community service," Pandya said. Gill, who was with the hospital board from 1996 to 2000 but stepped down when re-elected to serve again due to an employment opportunity, ran, and returned to the Board in 2008. He said he had been watching the vote results closely from the beginning and was in San Francisco with his wife Friday evening when he saw the final numbers online. "Elections are like that," Gill said, and added that he has congratulated Dr. Pandya on the win. "I knew before the final count was completed there was a possibility Dr. Pandya would pass me." Gill ended with 6,370 votes, or 15.14 percent of the votes, trailing behind Pandya, who ended with 6,450 votes or 15.33 percent of the votes. Incumbent Martha A. Flores was also defeated, ending with 5,950 votes or 14.14 percent of the votes. Dr. Jasvir Sidhu, who from the beginning, sprinted to keep a solid lead, finished the race in first place after adding 844 votes to his final numbers to end with 9,495 votes, or 22.56 percent of the votes — ending with 2,842 more votes than Incumbent Richard Hatfield who came in second with 6,653 votes or 15.81 percent of the votes. Hatfield, who has served on the board for more than 12 years, had few words to add, simply stating he had called Dr. Pandya to congratulate him, and plans to meet with him soon to bring him up to date. Tulare County Elections Office reported all ballots, including provisional and duplicates, had been counted and that the election is set to be certified today. Dr. Sidhu and Dr. Pandya will join incumbents Kent Sorrels and Dr. Ashok Behl, and Hatfield on the Sierra View Local Healthcare District Board on Dec. 18 during its reorganization meeting. Contact Esther Avila at 784-5000, Ext. 1045. Follow her on Twitter @Avila_recorder.